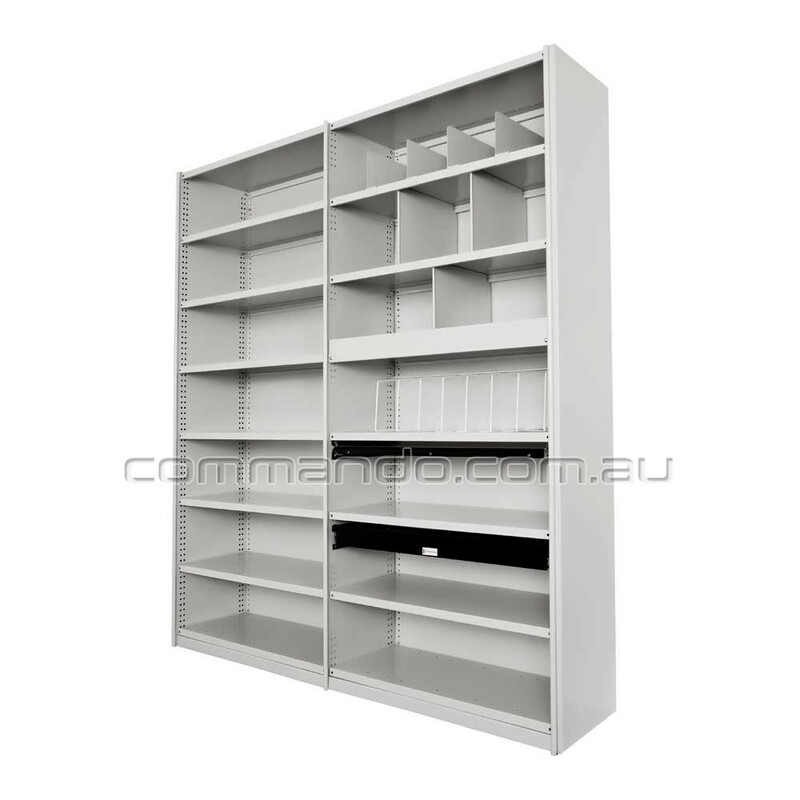 Commando is proud to offer an extensive range of static shelving and mobile storage systems to accommodate your operational needs. When fitting out offices it is important to choose the right equipment for the job. You want clever designs that will make shifting items convenient rather than being a time-consuming nuisance. Commando products save time, improve operations and most importantly maximize your available space. Optimize your storage space with our products today. Mobile storage systems are perfect in offices and other commercial or industrial settings, providing maximum capacity where space is limited. 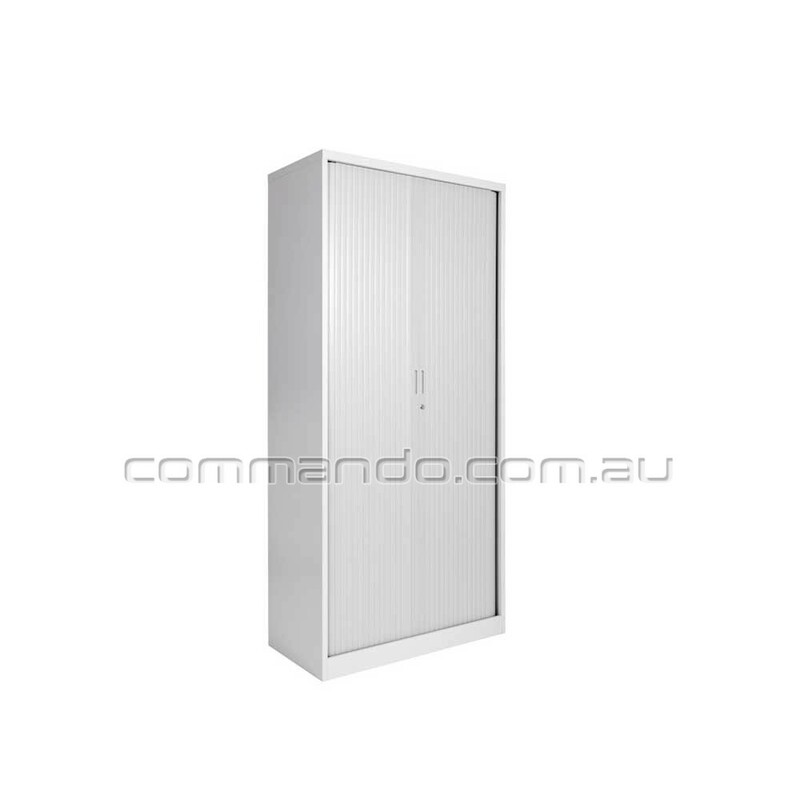 Commando offers a high quality range of steel cabinets, with unique features, such as rounded top edges, bow grip and finger grip handles and rounded fronts, available in a range of powder coated finishes. 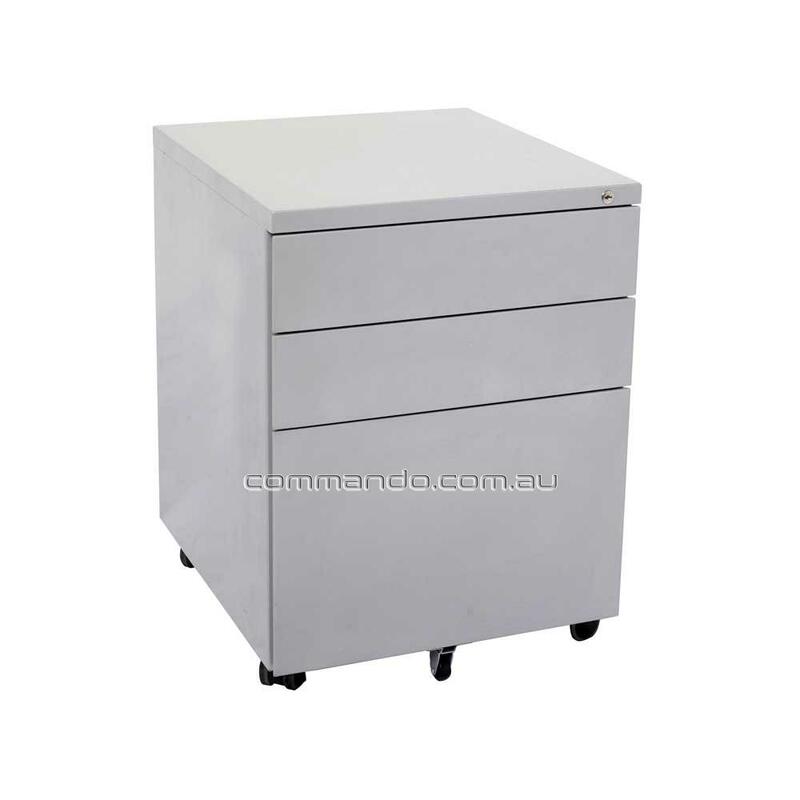 Products include mobile pedestals and mobile caddies. 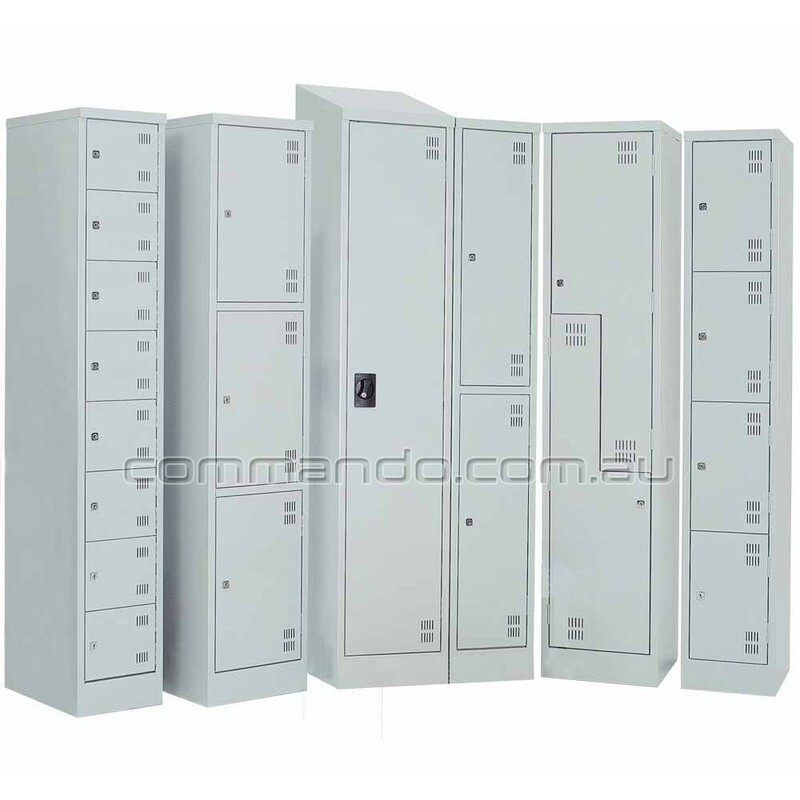 Offering a comprehensive range of metal lockers, seats and stands, made in Australia to the highest standard, available in a variety of finishes. 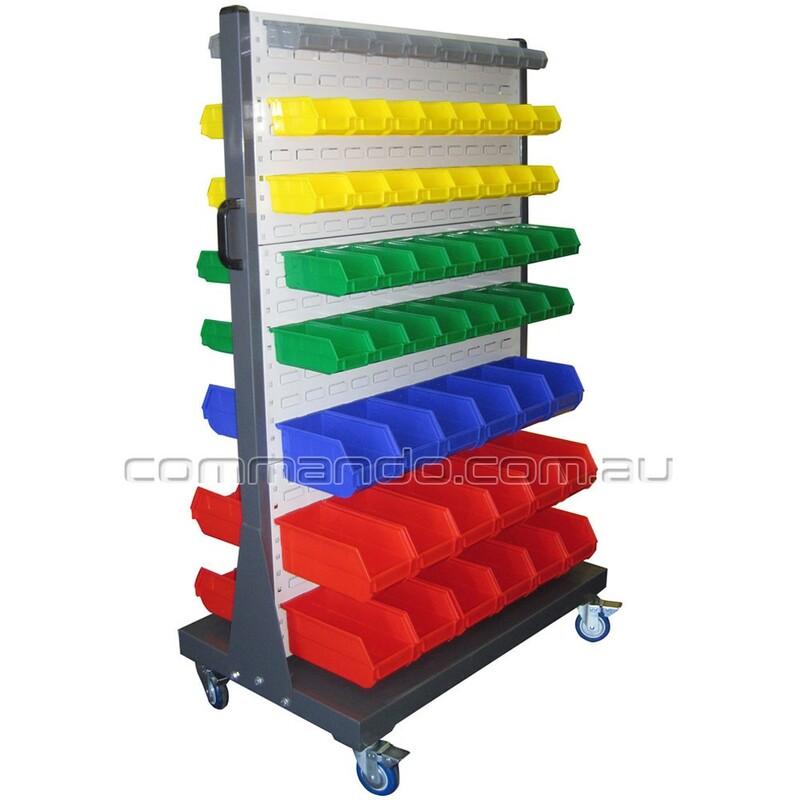 Specialist art systems including pull out art racks, till units and art drying racks, purpose built for storing unique pieces of various shapes and sizes. 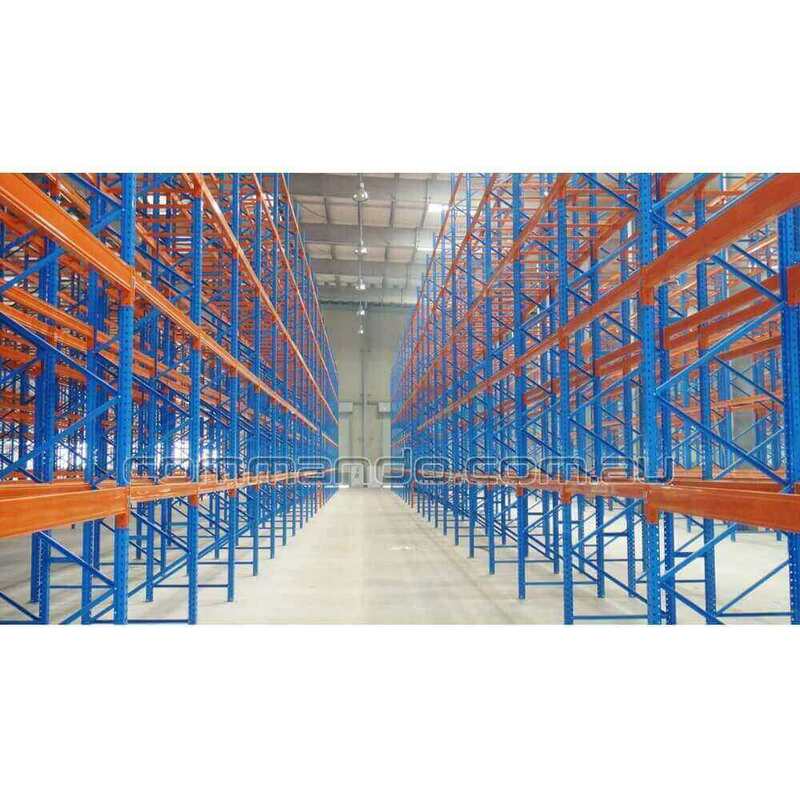 Products include pallet racking and work benches. Products include bins, parts trays and louvred panels. A range of accessories from dividers to wire baskets, as well as tailor-made accessories to assist in organisation and filing. 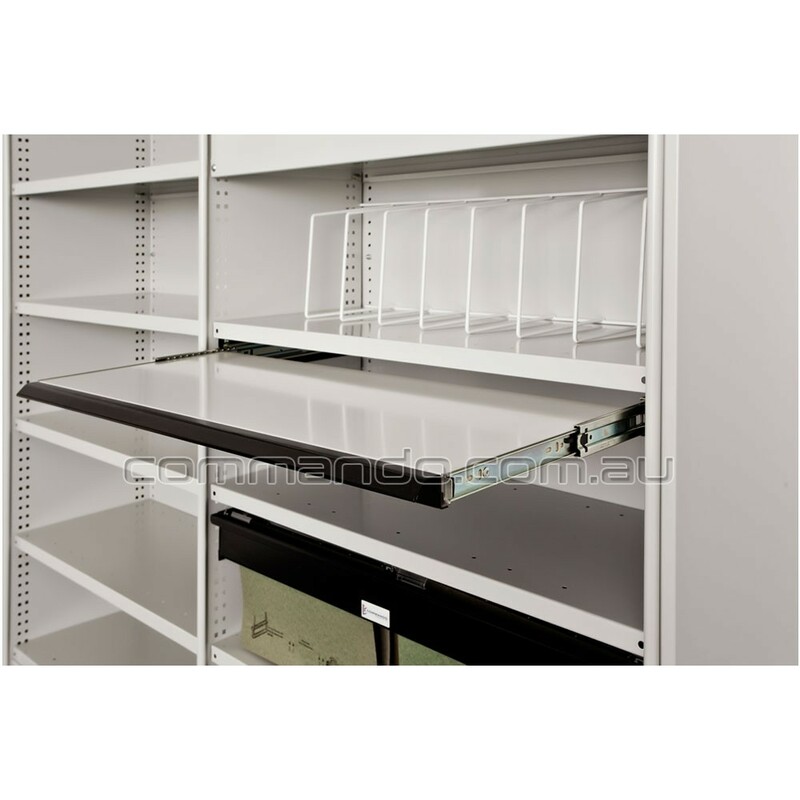 Specialised options including raised areas, work benches and other custom storage solutions. 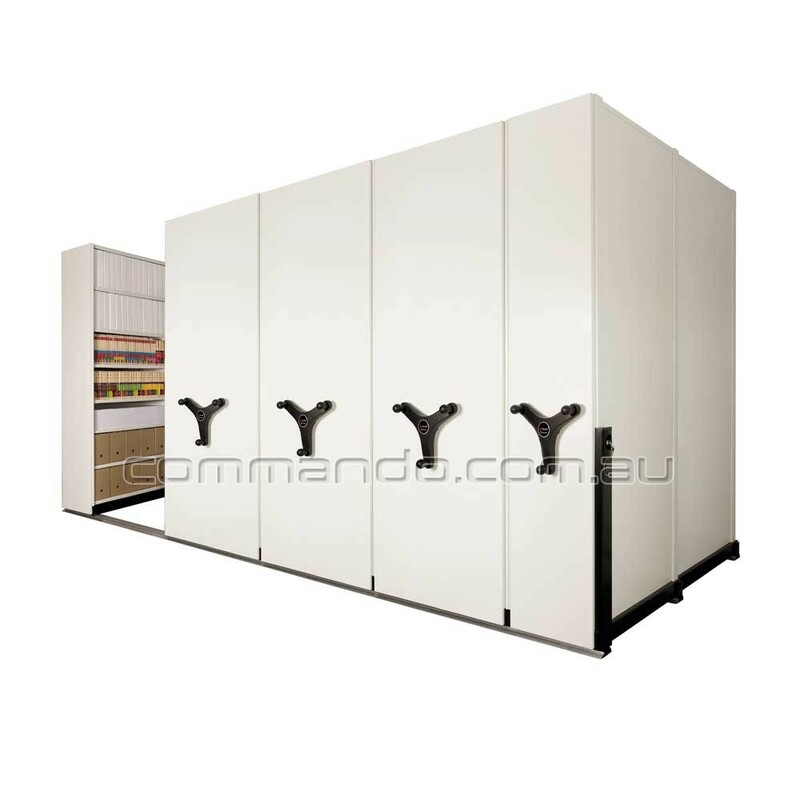 Commando offers competitive pricing for a large range of quality storage systems. To obtain a free no-obligation quote, please visit Commando's showroom and manufacturing facility. Alternatively, we can arrange for a friendly consultant to visit you. Commando provides a detailed CAD drawing of the proposed solution so you can view a detailed plan. Call Commando today. Commando delivers a solution in a timely manner, accelerated by the fact that we have our own manufacturing facilities onsite. 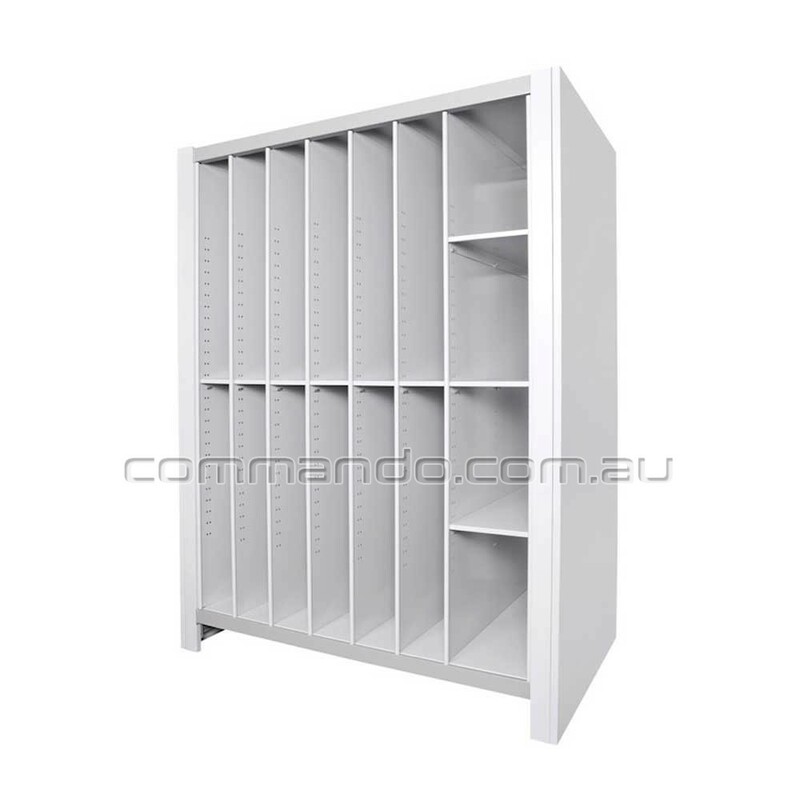 Commando Storage Systems provides quality products, which are tried and tested to comply with Australian Standards. All products have a standard warranty period. Contact us to learn more about the optional lifetime warranty (conditions apply). Get in touch with the team at Commando to find the best storage solution for you.